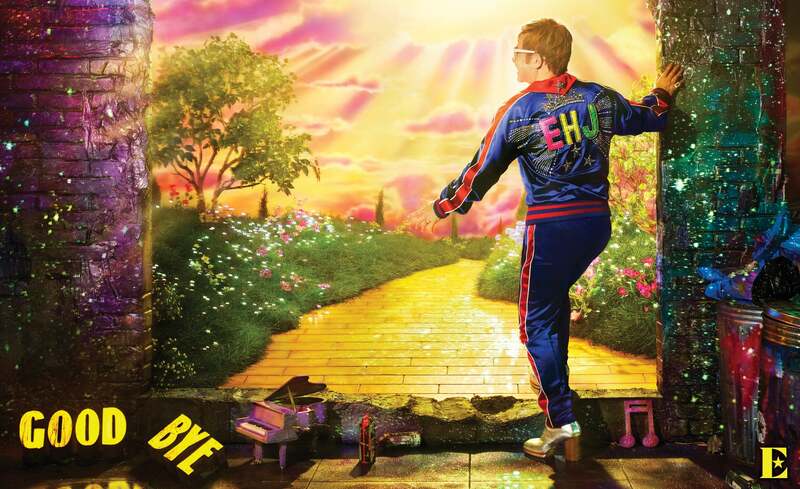 Due to overwhelming demand, superstar Elton John, recently crowned by Billboard as the most successful performing male solo artist of all time, added 25 additional North American concert dates to his sold out Farewell Yellow Brick Road tour. The tour will make stopsin Salt Lake City, Tacoma, Memphis, Charlotte and Western Canada as well as return dates in Toronto, Philadelphia, Nashville, Cleveland and more. The Farewell Yellow Brick Road Tour kicked off to a sold-out crowd on September 8 in Allentown, PA. Taking the audience on a magical journey through his career, the show features some of Elton’s most beloved songs from his legendary catalogue including, “Bennie and the Jets,” “Rocket Man,” “Tiny Dancer,” and “Philadelphia Freedom.” Elton’s music has taken him tomany places, opened many doors and inspired many passions in his life. The audience will experiences a rare glimpse into Elton’s life and the deeply personal meaning behind some of his greatest hits, with mesmerizing, never-before-seen photos and videos shown throughout the show from his incredible 50-year career. Tickets for these dates go on sale to the general publicbeginning Friday, October 5 at 10am local time but checklocal listings. Tickets and VIP packages can be purchased at EltonJohn.com. American Express® Card Members can purchase tickets before the general public beginning Thursday, September 27at 10am local time through Monday, October 1 at 10pm local time. A limited number of exclusive VIP packages will also be available starting Thursday, September 27 at 10am local time. These exclusive offers can include premium tickets, on-stagephoto opportunities at Elton John’s piano, backstage tours, limited-edition lithographs, custom merchandise and much more. The Farewell Yellow Brick Road Tour presale is powered by Ticketmaster Verified Fan; a fan-first technology that was built to help artists combat ticket bots and get tickets into the hands of fans that intend to go to the event. Tickets for these events will be available through registration using Ticketmaster Verified Fan. Members of The Rocket Club will receive priority access to Verified Fan tickets at the beginning of the official presale period (Verified Fan registration is required.) For events on saleOctober 5, registration is available now through Friday, September 28 at 10pm local time. Verified TM fan presale will begin Tuesday, October 2 at 10am and run through Wednesday, October 3 at 10pm local time, supplies are limited. For events on sale after October 5, please check with EltonJohn.com for registration and presale details. Registration is required to participate in the TM Verified Fan Presale. TM Verified Fan Registration for all shows will begin Wednesday, September 26 at 8am local time. For more information and to register in advance, visit EltonJohn.com.